If you need to knock up a quick prototype there's nothing like having a pile of jumper wires to speed things up, and let's face it: sometimes you want quantity over quality. 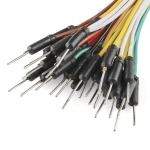 These are the same jumper wires that come with the SparkFun Inventor's Kit, they're less rugged than the premium jumper wires but they're great for bread-boarding, they're less expensive and we sell them in packs of 30! 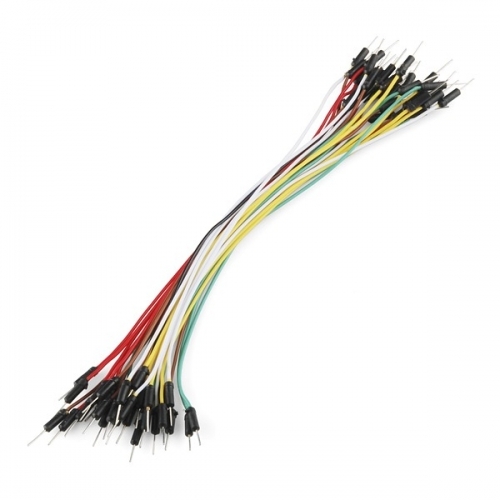 They may not hold up to year after year of abuse but they're a good value and we use them all the time here at SparkFun, both in classes and personal projects. 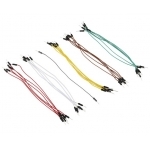 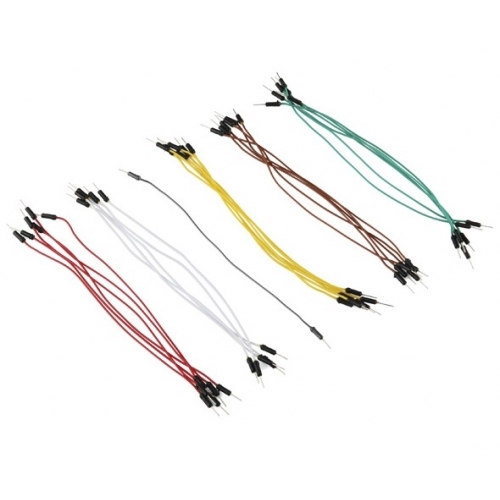 Your pack of 30 jumper wires will be a random assortment of various colors.